Happy fall everyone! I have to say — this summer has been quite the ride. I didn’t intend to take a total break from the blog this summer, but it just kind of happened. There were a lot of changes around here, and what started as a small digital detox turned into a months-long hiatus. I was fortunate enough to get a new promotion at work — which means the last thing I want to do when I come home at night is sit in front of a computer. I also moved apartments, and that’s always a stressful situation and can really throw off any routine. Add in the fact that my new kitchen is a bit low-light, which makes photographing in it quite difficult, and a lot of work and personal travel, and that’s how a detox turned into hiatus. I’m still not sure what the future holds going forward — but I do have a few shots from my travels and have been hitting up a restaurant here and there so I can at least spend some time sharing all of this with you all. You haven’t forgotten me, have you?! Earlier this year I spent some time boycotting winter and galavanting around southern California. It truly was a wonderful way to escape the brutal winter months. What made it even better was the food (and of course the company!). I don’t know the exact percentage, but I’m pretty sure I’ve heard anecdotally that a large percentage of our overall food supply comes from California. So it only makes sense that the closer you are to the source, the closer the food is going to be. That was exactly the case when my girlfriends and I headed to The Lark in Santa Barbara for dinner. While not a vegan or even vegetarian-only place, it was extremely easy to order off their menu with just a few minor requests. Which is another perk of eating in at this restaurant — while there are plenty of meat-centric dishes, even the meat dishes my friends ordered were heavy on vegetables and light on the meat. That said, it was beyond enough food to end up leaving 100% satisfied and feeling more than full. We ordered what we thought would be enough for all of us – and in fact we cancelled one of the main dishes we were just too full and it hadn’t been cooked yet, so we ended up telling the waiter not to bother. 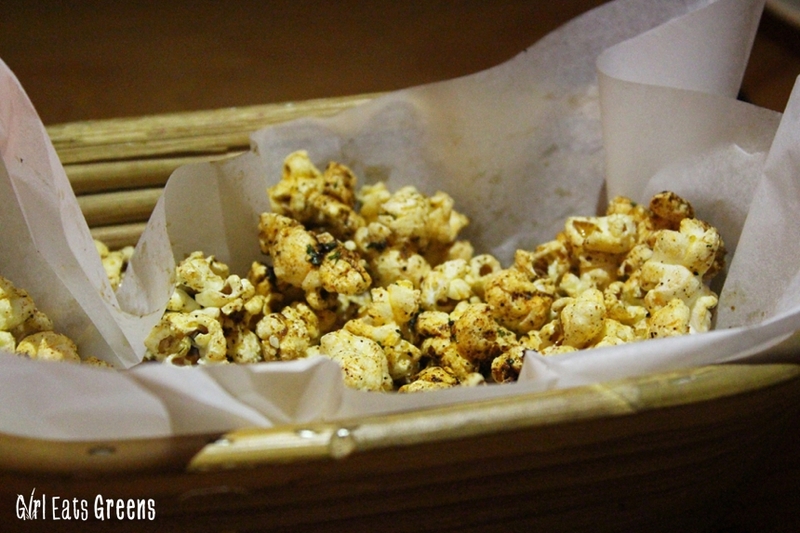 We started with a snack – just a little basket of popcorn – and perhaps my favorite thing we ate all night – crispy Brussel sprouts. 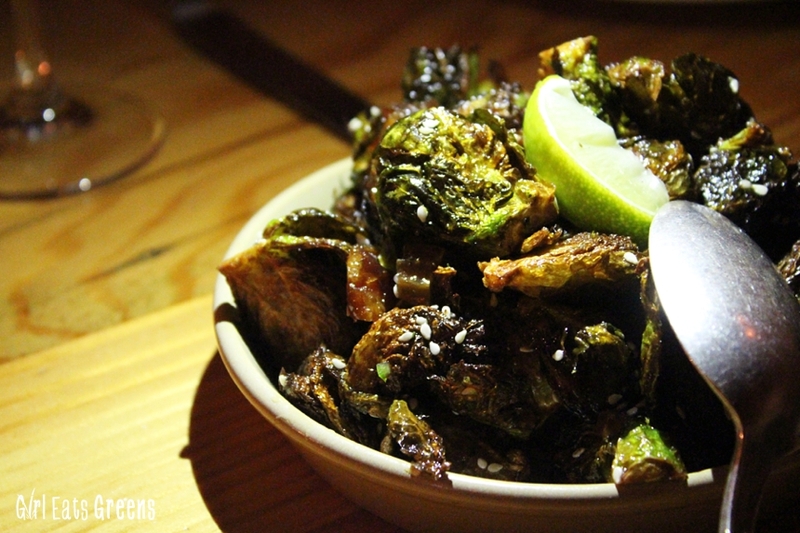 There are simply no words to describe how insanely delicious these Brussel sprouts were. I know, it sounds like every child’s worst fear, Brussel sprouts as an appetizer. But they were tangy, sweet, and crispy. I loved them so much that I mentioned to the host on our way out of the restaurant that I’ve never had Brussel sprouts this good before. She said people tell her that all the time. See? I’m not the only one who’s crazy about their sprouts. Honestly, if there’s one thing you eat there — the sprouts must be it. But that’s not to say that the other food isn’t delicious too. 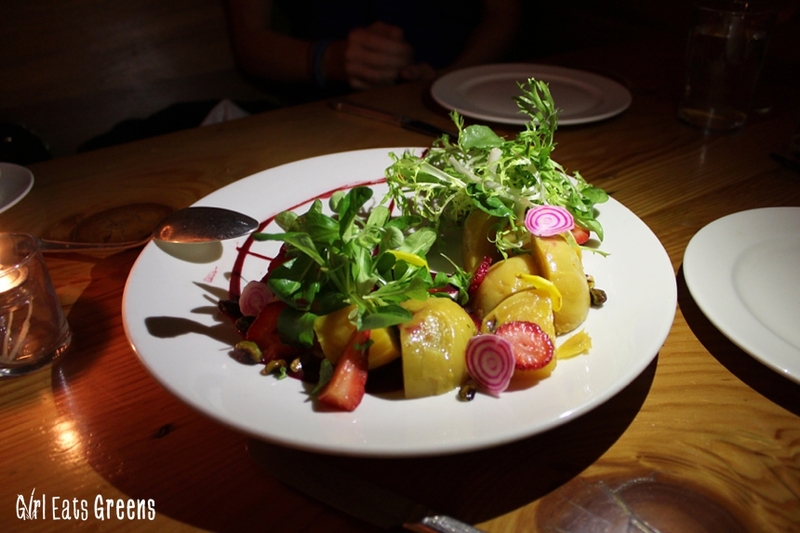 We started with two salads to split between the group — one with beets and strawberries and the other with pears and walnuts. Both came with cheese, which we just had on the side to accommodate me. The veggies were so fresh and the portions were ginormous. There’s really nothing bad I can say about the meal overall. 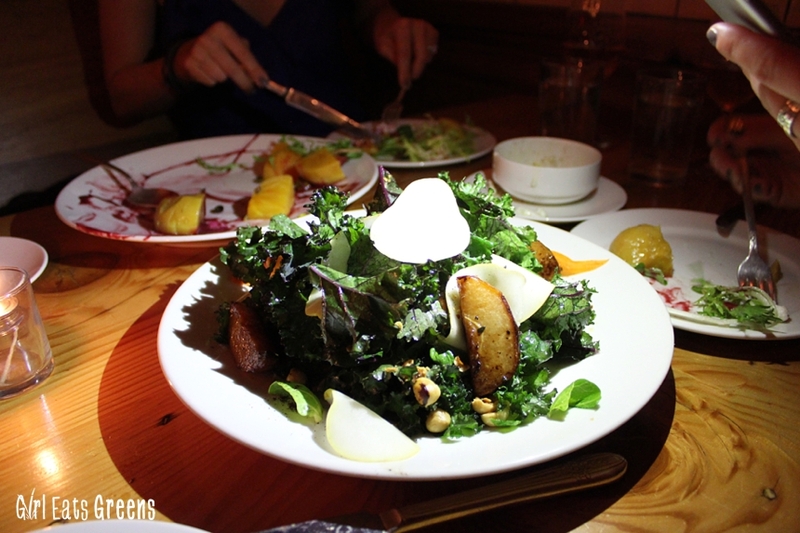 The service was great, super attentive, and I loved the way the dishes came out — whenever they were ready. I hate the idea of some of my food hanging out in the kitchen while the others get finished. Maybe it’s because I like long, slow meals, or maybe because I often get hangry. 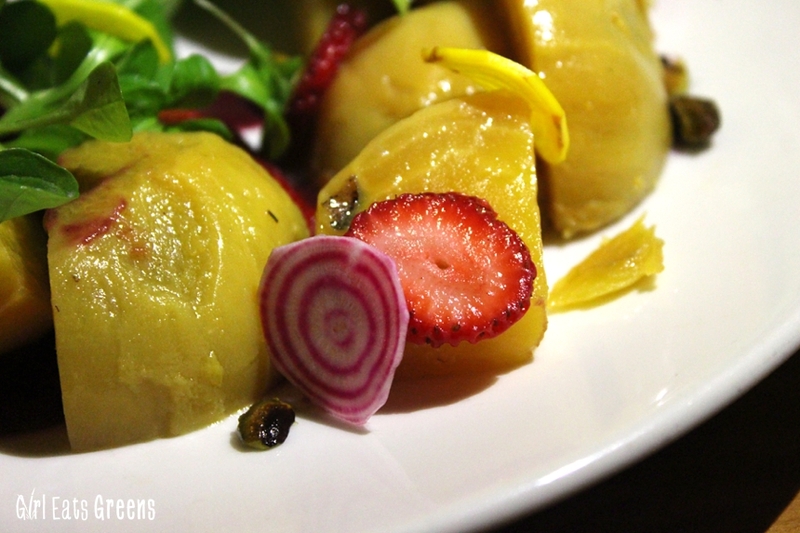 Either way, I love when dishes come out at different times, giving you the opportunity to graze throughout the meal. So if you find yourself strolling around Santa Barbara, wine tasting, and looking for a good meal — look no further. 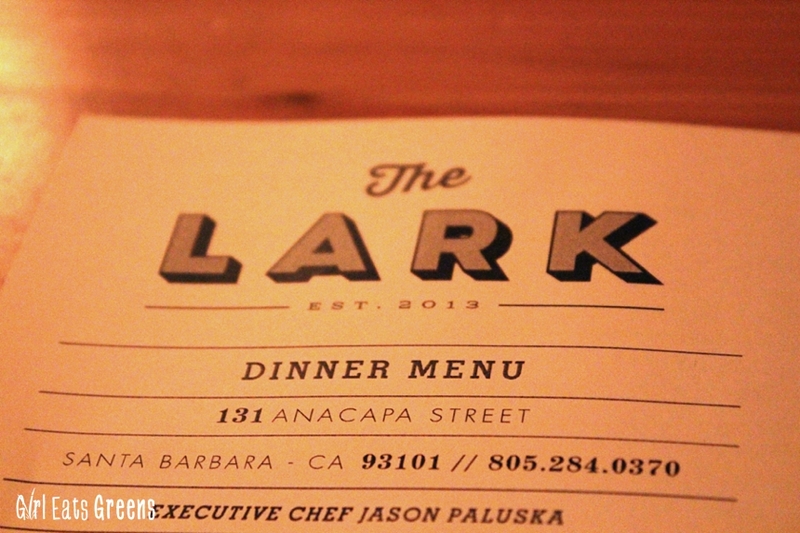 Head to the Lark. Though you might want to make a reservation. 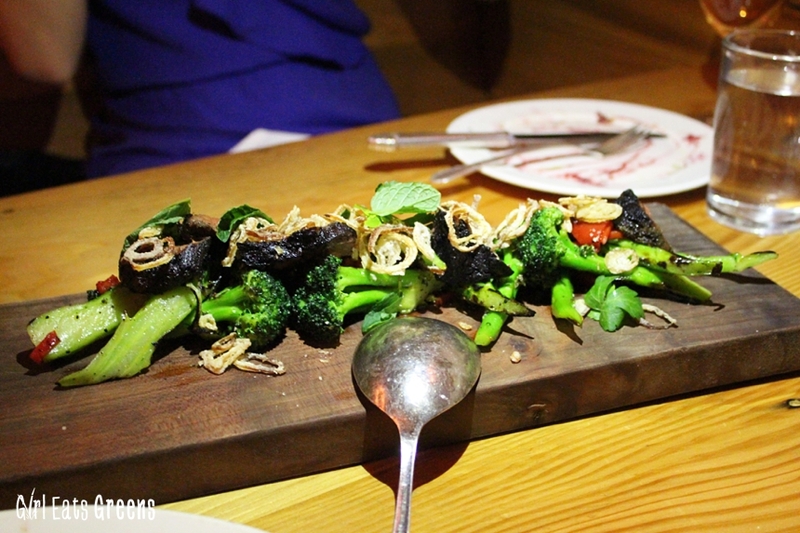 With food this good, everyone’s going to want to go.